Ash Princess was one of the books that I knew I had to read this year, so I was so excited to get my hands on a copy. 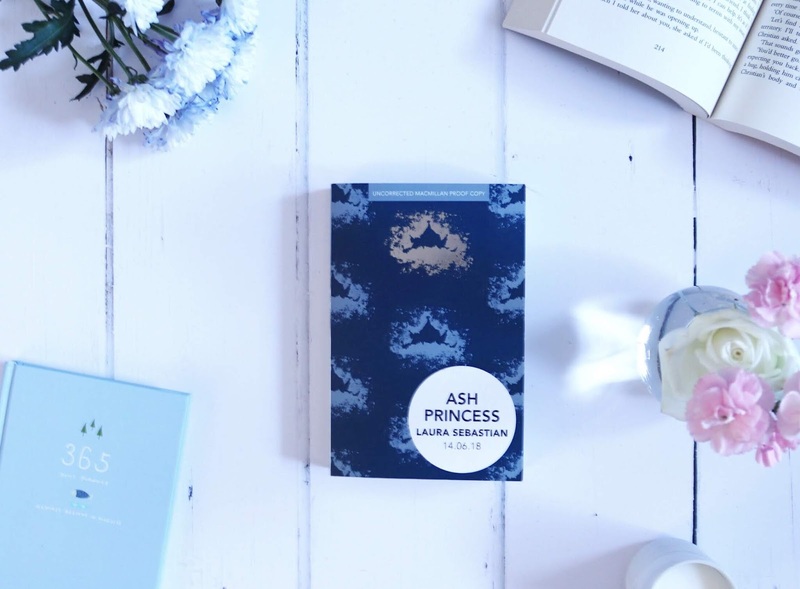 I love a story that grips me instantly as I know it's going to be good and Ash Princess did just that. Theodosia watched her Mother life's taken away from her. Ten years later she has had to learn how to survive in a incredibly hostile world, a world that hates her and all she stands for. a world that makes her wear a crown made of ash to be ridiculed. She has been made to hate her people to please the Kaiser, but when she is made to kill her last remaining hope, Theo can no longer ignore the feelings she has been made to suppress for ten years. She wants revenge and won't stand for her remaining people's suffering. and no longer cares what happens to her. Involved in murder plot, the last thing she expects is feelings for the person she has been tasked with to kill. She must decide just how far she is willing to go to save her people or herself. There will be things that won't sit well with some readers and that is the type of violence that a lot of the characters experience. It is quite hard to stomach, but if you can stomach that then this story will keep you on your toes throughout. I did find it a little hard initially, but once Theo decides she is out for revenge, the real story begins and a we are introduced to a whole host of characters, who I ended up loving and hating in equal measure. Ash Princess became more and more addictive as the story went on and the stakes just keep getting higher and higher, to the point you don't see how the characters are going to get away unharmed or see any form of 'happy' ending. I loved the politics, the magic, the suspense, everything about this was high impact and suspenseful. Not once did I want the book to hurry up and get to the point as it is non-stop action. Even the unexpected romance was believable! Action packed, fast paced and completely gripping, bring on book two!